LOVE BEING A NONNY! 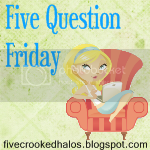 : Five Question Friday...on Saturday..OOPS! 1. What is the funniest thing you saw on Facebook/twitter this week? 2. What is your favorite Olympic event? Oh I LOVE the Summer Olympics!! Hard to choose a single event, but I guess the swimming. All three of my kids swam on swim teams growing up and I LOVED it! 3. Do your kids to chores around the house? If so, what are they and how old are the children? Do they get paid for them? My kids did do chores. They had to make their beds every morning before leaving their rooms and the other jobs were given as needed.....taking out the trash, etc. No $ though....they had a home to live in, food to eat and parents who loved them enough to teach them responsibility. 4. If you get bad service/food do you complain or keep quiet? Too many variables here.....bad food as in old or not done...yes. Bad food as in I chose a bad restaurant...no. 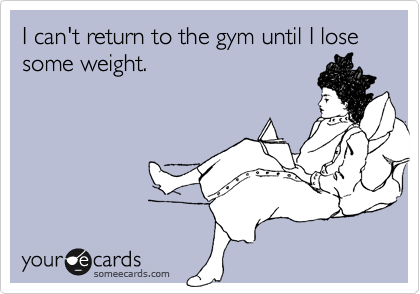 Just won't go back! Outdoor covered porch with fireplace and lots of furniture! I enjoyed the privilege of stepping into your world today. I liked reading your answers and I think the one of the chores was answered well. We had the same thought process with our children. As for the porch...it is the most beautiful and inviting porch. I am sure you create many special memories for your family there. That porch is so awesome!!!! What a great gathering place with a perfect view of God's beauty! 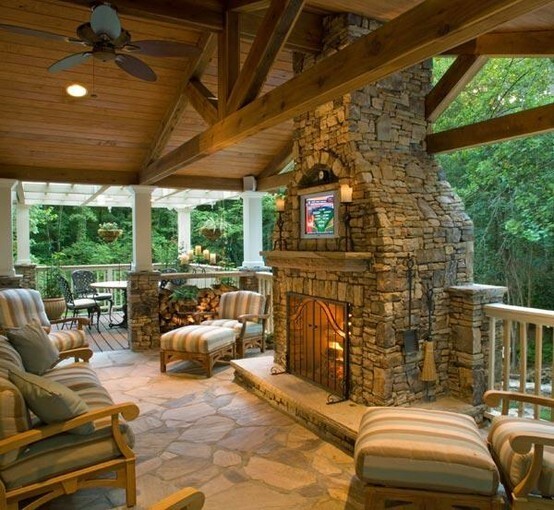 Love that outside covered porch with fireplace! I would love to have that. I loved your answer to question #2. As a mother of 2 I struggle with making my kids do their chores. I've always felt guilty because I stay at home. You are so right that chores teach them responsibility. Thank you for sharing your thoughts.